Canada's tax system is based on self-assessment. This means that individuals voluntarily complete an income tax return to report their annual income and claim all deductions or credits that apply to their situation. In this way, you are able to calculate the amount owing or the refund to be received. Each year, the CRA conducts a number of review activities that promote awareness of and compliance with the laws it administers. These reviews are an important part of the compliance activities we undertake in order to maintain the Canadian public's confidence in as well as the integrity of the Canadian tax system. Review programs promote taxpayer education by identifying common areas of misunderstanding. 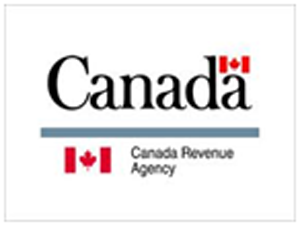 Analysis of results and feedback from taxpayers are used to review and improve the guides and forms that CRA provides to the public. For a list of errors most frequently made by taxpayers on their income tax return, see Common adjustments. If you feel you will be audited by CRA soon or you have received letters or calls or personal visit from the TAX MAN, then you cannot afford to wait any longer! Do something to resolve your tax audit problems. It makes far more sense, and will be less costly, to resolve your tax audit problem right await, rather than dealing with the financial burden of huge reassessment amount and another penalties later. As experienced tax professionals, we focus our tax practice on helping individuals and businesses resolve their tax audit problems. We bring a depth of financial and tax experience to the tax resolution arena along with a great deal of insight as to the most effective ways to handle an tax audit. We sensitively guide you through the procedure and explain exactly what you need to know and what to do. More often than not, we can arrange it so that you will not have to meet with an auditor or tax agent. So, don’t go in alone. It’s a scary feeling to face the CRA alone and we can help make the experience less frightening. Remember, every taxpayer has the fundamental right of due process, fairness and representation. We work closely with the CRA to provide all documentations and represent our client with utmost fair manner and get the best benefits. Once the audit is done, we ensure that all records/papers/books are maintained as per the requirements to avoid any such complications in future.